Industrialization can be defined as the system by which an economy which hitherto produced basic agricultural goods, now manufactures those same goods with the use of machines instead of manual labour and assembly plants instead of skilled artisans. One of the problems confronting industrialization in the Gambia is the absence of enough skilled labour to appropriately man the industry. There are few well trained artisans, engineers and the like to operate sophisticated industrial machines if they are installed. In the end, the entrepreneurs go for expatriate staffs that are highly paid. Another basic problem facing industrialization in the Gambia is the low supply of raw materials to feed the few factories that are available. 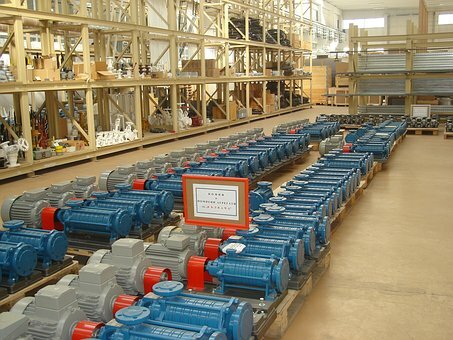 The country is not able to produce enough raw materials to feed the factories in the end, even the few factories that produce goods, do so under capacity. There is also the problem of lack of enough infrastructural facilities such us good roads, railways, constant supply of water and electricity etc. The industrial factories need electricity to run 24 hours a day. They need a constant supply of water, especially, those of them which depend on it. The factories need a good road network to be able to transport their raw materials and finished goods efficiently. However, these have not been readily available in the Gambia. Another problem is the absence of capital to make the initial investment and to re-inject into the business in order to expand. The banks may be willing to help but their interest rates are over the roof so entrepreneurs are not attracted to that option. Even where they are, some are not able to provide the collateral that the banks may demand. In the end, their dreams remain in their hearts. In the Gambia, many entrepreneurs are allergic to risk. They do not want to take risks unless they can see their way clearly which is not always possible from the onset. Most Gambian entrepreneurs want quick profits so they prefer trading to the manufacturing industry. In the Gambia, majority of the people are poor and therefore mostly unable to afford the manufactured goods. Most factories therefore are producing below their installed capacity. 1. What are some of the problems confronting industrialization in the Gambia? 2. Highlight six problems of industrialization in your country. 3. a. What is industrialization? b. Give five reasons why the Gambia is unable to industrialize.